The Chinese Association of West Michigan is hosting a Lunar New Year Celebration on February 16, 2018 at the DeVos Hall —and you're invited! If you thought a glittery ball drop and a countdown to midnight complete with bubbly and kisses was an exciting way to ring in the New Year, prepare yourself for something even more exhilarating. 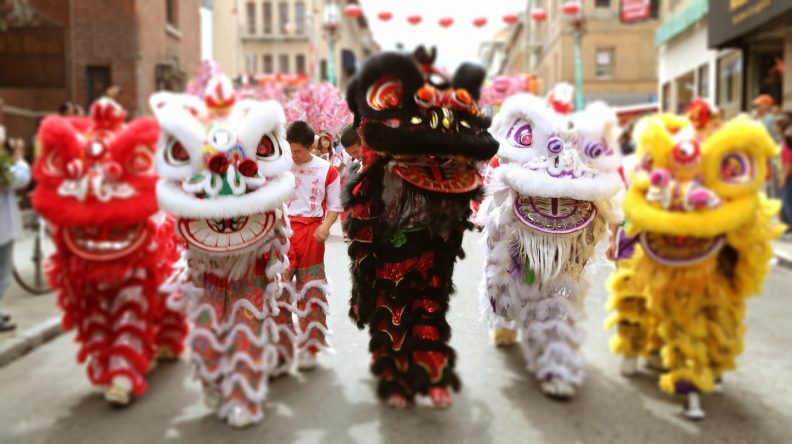 Firecrackers, festive food, cultural performances, bright-red paper decorations galore, and a dragon parade through the streets of Grand Rapids will welcome the Lunar New Year on February 16, 2018. Different than New Year’s Day in the West, the Lunar New Year, also known as Chinese New Year or Spring Festival, follows the Chinese lunisolar calendar, which is based on the cycles of the moon and agricultural production. In Chinese astrology, the Lunar New Year also begins the Year of the Dog. Those born in the Year of the Dog (1922, 1934, 1946, 1958, 1970, 1982, 1994, 2006, and 2018) are said to be symbols of loyalty and honesty and to possess the best traits of human nature. It’s good to be a dog! 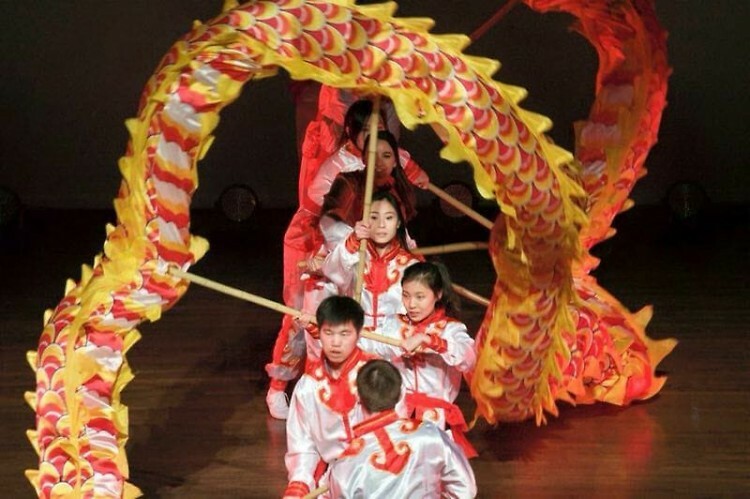 Celebration of the Lunar New Year is centuries old and considered one of the most important Chinese holidays. It’s observed in many countries and regions around the world, including China, Hong Kong, Macau, Korea, Singapore, Taiwan, Cambodia, Indonesia, Laos, Malaysia, the Philippines, Thailand, and Australia. Now, thanks to the Chinese Association of West Michigan, it will be celebrated for the first time—officially—in Grand Rapids, Michigan. 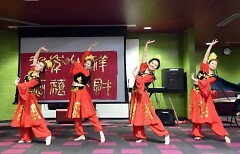 On the heels of the success of Grand Rapids' first-ever Asian Festival, which took place last June and will return in June of 2018, the Chinese community in West Michigan felt a great passion—if not obligation—to share this special tradition with a wider audience. And that audience is: everyone! Grand Rapids Lunar New Year will begin at 5:30 p.m. on February 16, 2018 with firecrackers at Gillette Bridge and be followed by a dragon parade to DeVos Hall, where the rest of the evening’s festivities will unfold. Firecrackers (not fireworks) are part of the legends surrounding Lunar New Year and are used to scare off evil spirits, while the dragon serves as a blessing for the event. Inside DeVos Hall, there will be food stations featuring dumplings, egg rolls, Boba tea, Chinese desserts, and other rare culinary treats. Throughout the evening there will be music and dance performances, as well as a fashion show before the festival’s close at 10:00 p.m. There will also be learning opportunities, games, and other interactive activities for adults and kids alike, including calligraphy demonstrations, painting, and a visit with a tea master. Generous donations from local businesses, especially those by top sponsors Downtown Grand Rapids Inc. and Grand Rapids-Kent County Convention/Arena Authority, have made low-cost tickets possible: just $5 admission for adults, and kids 17 and under are free. Attendees are encouraged to purchase their admission and food tickets in advance here. A limited number of admission tickets will be available at the door. Food tickets can also be purchased on site. 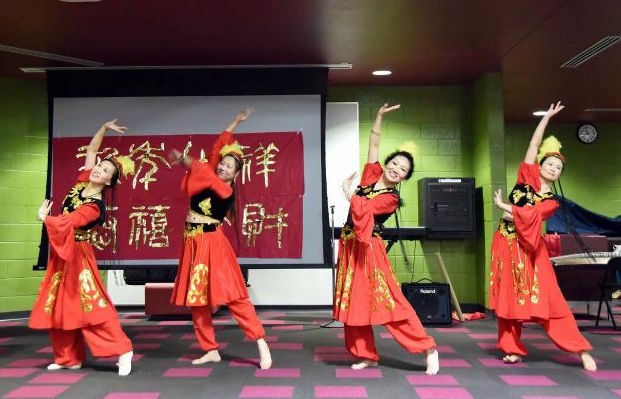 The Chinese Association of West Michigan and members of the Asian community in Grand Rapids view this event as a way to branch out from their sometimes-isolated cultural circles and to become more involved and more visible in the Grand Rapids scene. They also have a strong desire to share their customs and heritage with their neighbors, and this festival represents the ideal opportunity to do just that. Ready for a lively evening of education, celebration, entertainment, activities, Asian cuisine, and refreshments? Learn more at Elevate GR, then meet us at the Gillette Bridge at 5:30 p.m., February 16, 2018 to kick off Grand Rapids’ inaugural Lunar New Year Festival!